All of my photos taken in Malaysia. Kuala Gandah, Malaysia - March 5, 2017: Asian Elephants playing with water in a river. 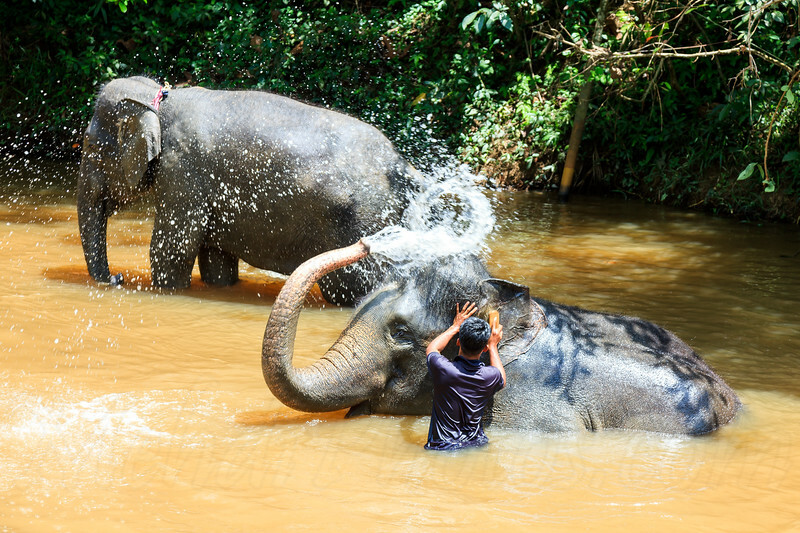 The Kuala Gandah Elephant Conservation Centre is an elephant sanctuary located in Temerloh in the state of Pahang, Malaysia.